Small Schools to the Rescue? Florida is not alone in pursuing this type of approach to helping struggling schools. The drive to establish higher academic standards through the use of standardized tests has swept the country, and since the adoption of the federal No Child Left behind (NCLB) law, students in all fifty states are now required to take exams in 4th and 8th grades as a means of insuring school accountability. Some states such as Florida, New York, Texas and Massachusetts, have taken NCLB a step further, and require students to pass high stakes exit exams, which are typically taken in the 10th grade, before they are allowed to graduate. If the U.S. Department of Education has its way, high school students throughout the nation will eventually be required to pass exit exams before they are allowed to graduate. As a result of this prospect, considerable attention has now focused upon high schools and the need to insure that they will be able to meet this new academic challenge. Schools like the one I visited in Miami provide a clear picture of the limitations of this approach to school improvement. Even with the threat of state intervention hanging over their heads there was little reason to believe that it would find ways to escape the FFF rating. This was not because the staff was lazy or ambivalent about raising the achievement of its students or because the students themselves were unable to learn. In fact, all evidence suggested the opposite. Teachers and administrators at the school were making a concerted effort to meet student needs -- offering extra test preparation classes after school, providing intensive English language instruction, and doing what they could to keep students, many of whom had failed the exam twice already, from becoming discouraged and dropping out. The principal, who told me that he would be leaving the school and the profession at the end of the year because he was tired of being beaten down, was described by everyone I interviewed as dedicated, hard working and committed. However, despite their best efforts, the school had not found a way to provide its students with the language skills needed in time to pass an exam in English. This was not merely a matter of working hard. Research on language acquisition shows that many English language learners require several years to read and write at the high school level and master academic English (Rosaldo and Flores 1997). Does a policy that has the unintended effect of driving away good teachers and administrators, and denying students who have not been prepared the opportunity to earn a high school diploma and have a chance to enroll in college make sense? Is the state of Florida, or for that matter Texas or any other state that adopts a similar policy, better off by imposing such tough standards? In 2002 after Massachusetts implemented its first high stakes exam, the consequences of raising standards and increasing accountability before any serious effort was made to improve struggling schools became painfully evident. Over five thousand students who met all of the requirements for graduation but failed the state exam were denied diplomas. Ironically, most state leaders and major media outlets viewed the results as a victory, a sign that the state was finally getting tough with failing schools. However, a closer look at the students who failed suggests that perhaps the reason why so many public officials could be satisfied with such dismal results is because the students who failed were in effect considered expendable. One third of the students who failed the MCAS (Massachusetts Comprehensive Assessment of Students) were identified as learning disabled and in need of Special Education. Another third were students who the state identified as English Language Learners because they had not yet mastered academic English. Finally, the remaining third were students who came from schools that the state knew before hand were so poor that the vast majority of their students would not pass the exam, in part because they lacked teachers who were qualified to teach core subjects particularly in math. The overwhelming majority of the students who failed were poor and minority. How could their failure be regarded as a policy victory? What makes this strategy particularly questionable is the fact that the record of state takeovers of failing schools and districts is abysmal. In districts such as Compton, CA, Roosevelt, NY, Trenton, NJ, Lawrence, MA, and many others, there is no evidence that state control has led to improvement. Past failure associated with policy measure should serve to remind us that state governments possess no expertise or special remedies for school success that they have been withholding. Without a serious effort to address the underlying causes of school failure, even extreme measures will not produce the higher achievement and better schools that policy makers and the general public seek. While few can argue against the goal of increasing student achievement, it is not unreasonable to question whether raising standards and increasing school accountability, are enough to improve struggling schools. This is not because there is necessarily anything wrong with doing either, but there is a faulty assumption underlying this approach that is occasionally expressed but more often implied: that schools fail because the staff is lazy and unmotivated, and that what they need to raise achievement is pressure, threats and even public humiliation. What is particularly disturbing about this approach is that it ignores so many of the obvious things that we know are essential to raising achievement and creating better schools -- recruiting skilled teachers, reducing class size, providing students with academic support through tutoring during and after school (Newman 1992). While the need for change is clear -- too many students are dropping out and leaving school unprepared for either college or work -- high schools have proven to be especially difficult to improve. Part of the reason for this is that high schools are steeped in tradition, and these traditions that most affect how they are organized, how instruction is delivered, and how students are treated, are difficult to change (Noguera 2004). Missing from the present policy debate is a well thought out approach to tackle these issues, and until such an approach is developed, it is unlikely that we will see widespread improvement, regardless of how much pressure is applied. At the present, the most common approach to high school reform is the effort to alter the structure of large comprehensive high schools so that students are assigned to small learning communities instead (Clinchy 2000). With funding from the U.S. Department of Education, the Carnegie Foundation and most significantly the Gates Foundation, which has invested nearly one billion dollars into this effort already, large urban school districts throughout the United States have embarked on an effort to transform the American high school by converting them into small learning communities. In New York City alone, over one hundred million dollars has been allocated in the last three years for the development of new small learning communities. Similar efforts are now underway in Chicago, Los Angeles, Detroit, Boston, and Houston. The thinking behind this reform is that if schools are smaller, students will benefit from a more personalized learning experience where they are known well by their teachers. The assumption is that by improving teacher student relationships and decreasing the degree of anonymity in schools, student achievement will increase. While there is some research available supporting this approach to school improvement (Fine 2002; Wasley 1998), most of this research is based either upon broad comparisons of student graduation rates and test scores, or qualitative data obtained from individual schools. There is surprisingly relatively little research showing how or why small schools may be more effective, and very little guidance available for educators who are leading these types of change efforts on how to carry out these types of reforms. Anyone familiar with the way schools work understands that the theory underlying the small school movement is fairly weak. Just because the size of a school is reduced it does not necessarily mean that relations between adults and students will improve. Moreover, even if relationships between students and teachers improve it does not guarantee that there will be an improvement in student achievement. The biggest challenge facing high schools is how to reduce the boredom and alienation that is prevalent among students (Steinberg 1996). This is not an argument against small schools but it does suggest unless more is done to improve teaching and learning there is little reason to believe that making schools smaller will make them better. Current data from New York City shows that the new small schools have an attendance rate of 89% compared to 80% at traditional high schools (NY Times 8/8/05). There is also anecdotal evidence that relationships between students and teachers are better at smaller schools, and that schools themselves are safer and more orderly. There is good reason to give these reforms the time needed to show results, rather than moving quickly to abandon this effort. However, the question before educators and policy makers is how much time will be needed to show results with the pressures associated with NCLB already hanging over us? The clearest evidence that more is needed to improve student outcomes is the large number of poorly performing small schools that are already in existence. Throughout the country, many school districts already operate a number of small high schools, either for special populations -- at risk students, or students enrolled in vocational programs, but few of these serve as models of school reform. Understanding why such schools have not succeeded in meeting student needs should be at least one of the questions asked before too much money or effort is invested in sweeping, costly reforms. Missing from most of the most popular approaches to school reform are well-developed strategies for changing the culture of schools. By culture I am referring to the attitudes, beliefs, norms, and sense of mission that underlie the character of a school. School culture relates to the climate or atmosphere under which teaching and learning occur, and it is also about the nature and quality of relationships between adults and students within a school. Yale psychologist, Seymour Sarason, argued many years ago that school reform efforts were bound to fail if they ignored culture and only focused upon altering structure or curriculum (1971). Other researchers on school reform have come to similar conclusions (Perry, et.al. 2003; Wagner 1998). In addition to relationships, school culture also pertains to the mission of a school; the explicit and implicit message students receive about the purpose of education. 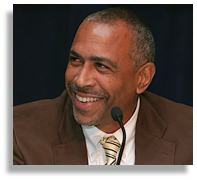 Such a message is important for countering the distractions that may discourage students from taking school seriously (Steinberg 1996), the racial stereotypes that may undermine their confidence to succeed (Steele 1997), and the need to develop identities that enable students to see themselves as intellectuals (Noguera 2004). Many reformers shy away from focusing on school culture because the concept seems too ambiguous. Unlike school structure which is concrete and tangible, it can be difficult to measure progress when one is attempting to transform a schools culture. Changing a course schedule, re-organizing a grade configuration, or devising a new approach to assigning students to clusters within a school, all lead to clear, identifiable changes in a school. Getting teachers to display greater interest in their students, to modify their approach to teaching so that they become more effective at meeting the learning needs of students, and getting students to take their education more seriously, is harder to achieve and bring about. However, administrators who ignore the need to bring about such changes run the risk of engaging in reforms that produce superficial change at best but that do not result in a significant and sustained improvement in the academic outcomes of students. No Child Left Behind has succeeded in getting schools to focus more intently on the need to improve student achievement. By requiring schools and districts to report test scores and disaggregate the results by various recognized subgroups, the law has also succeeded in making districts accountable for the performance of their neediest students. Only the most cynical critics can argue against the merits of these aspects of the law. However, for schools like the one I visited in Miami, with a long-term record of poor performance, at least as measured by standardized test scores, more than just pressure will be needed to help them to improve. We must keep in mind that there are a large number of failing schools throughout the nation. By some estimates, they make up nearly a third of the high schools in the United States and they disproportionately serve the poorest and most vulnerable students (Cuban and Tyack 1995). Such schools need more than just pressure to improve, they need a total change in culture and they need real help. And What Will Become of Children Like Miguel Fernandez?